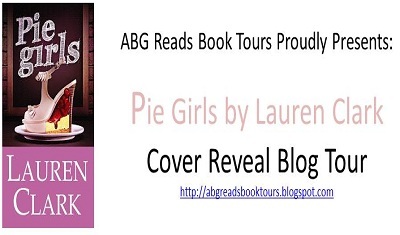 Today, I’m proud to reveal Lauren Clark’s book cover of PIE GIRLS! Princess, Southern belle, and spoiled-rotten social climber Searcy Roberts swore on a stack of Bibles she’d never return to her hometown in Alabama. After eloping with her high school sweetheart and moving to Atlanta, Searcy embraces big city life Carrie Bradshaw-style. But now, Searcy has a teeny, tiny problem: Her husband’s had a mid-life crisis. He’s quit his job, cancelled her platinum American Express, and run off with the “new” love of his life. Searcy finds herself back in Alabama with no job, no money, no husband, and no plan. After a frigid welcome home, she finds out that life in the small town Deep South is much harder at 36 than it ever was at sixteen. When she’s forced to take over her mother’s fledgling business, Searcy deals with sullen employees, strange ingredients, and the business owner next door who’s made it his mission to make her life miserable. 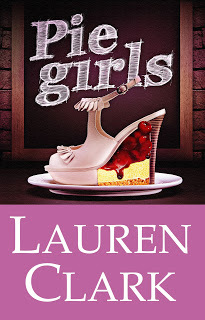 Will ‘Pie Girls’ be an epic failure, or will Searcy find the courage to persevere? She has been a voracious reader since the age of four and would rather be stranded at the library than on a desert island. In her former life, she worked as an anchor and producer for CBS affiliates in Upstate New York and Alabama. Lauren adores her family, yoga, her new Electra bike, and flavored coffee. She lives near the Florida Gulf Coast. Visit her website at LaurenClarkBooks.com. Thanks for being a part of the cover reveal tour! !